Jabil Circuit is an electronics solutions company providing comprehensive electronics design, production and product management services to global electronics and technology companies. They report that they bring electronics products to the market faster and more cost effectively by providing complete electronic product supply chain management around the world. With more than 100,000 employees and facilities in 20 countries, Jabil provides comprehensive, individualized, focused solutions to customers in a broad range of industries. Jabil’s headquarters is in the Tampa Bay area (click here for Tampa area trade profile) and they are one of the largest importers in the area. Jabil Circuit reported 13.4 billion dollars of revenue in the fiscal year of 2010. Click for Jabil Milestones. Jabil produces electronics for healthcare, life sciences, defense, aerospace, home digital, industrial controllers, converters, detectors, etc. Below is a pie chart documenting the structure of their market. 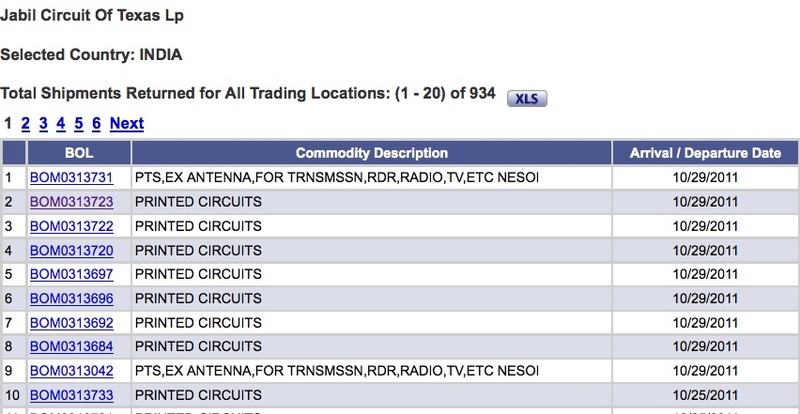 Using PIERS Prospects we can gain a clearer picture of imports by Jabil Circuit. Looking at strictly waterborne shipments, we can see that India is Jabil’s largest supplier. In one year Jabil had 934 shipments from India, accounting for 97% of the total value of shipments. Using PIERS Prospects we can download a complete Jabil Circuit shipment record from India over the last 12 months. We see that the major item imported was HS: 8534, printed circuits. Printed circuits composed 77% of the total import value of all Jabil’s waterborne shipments, arriving in 748 individual shipments with an estimated value of 132 million dollars. Printed circuits made up eight of the last ten shipments from India. 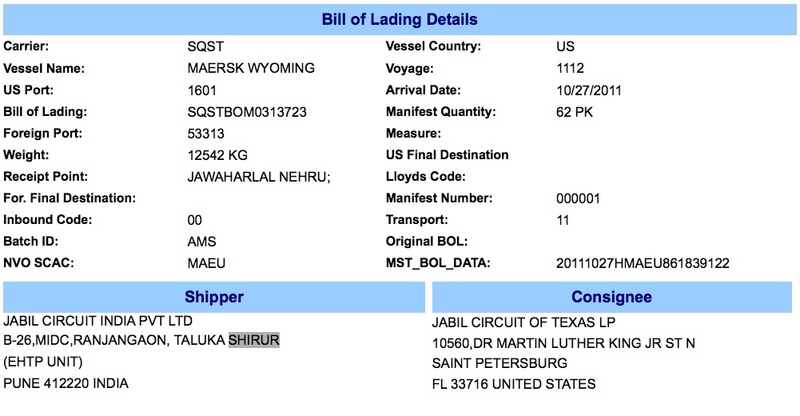 Also available are the individual bills of lading. These interesting bills document carriers, vessels, weight, shipper, foreign company, date of arrival, and commodity description. 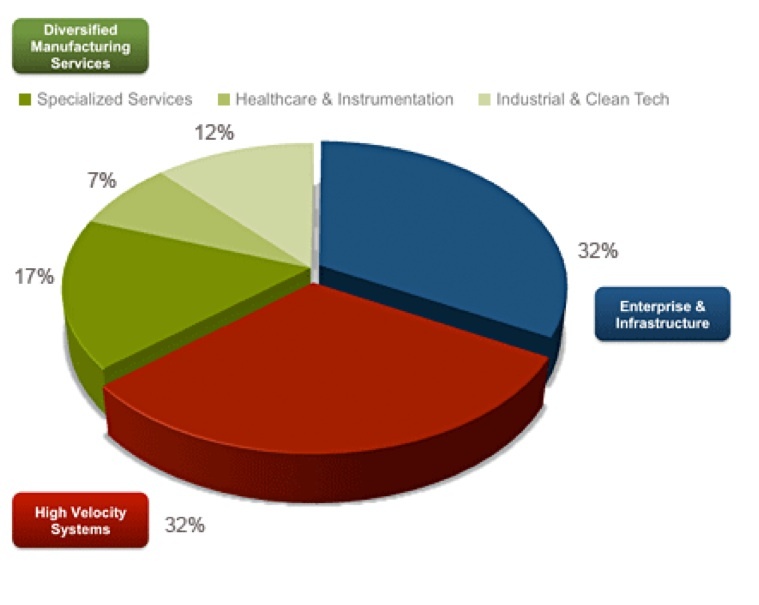 Download the detail of Jabil’s 934 Waterborne Import Shipments. Hello there, simply changed into aware of your weblog through Google, and found that it’s truly informative. I am going to watch out from Brussels. I will be grateful in the event you continue this in future. A lot of folks shall be benefited out of your writing. Cheers!